The Preview Show opens tomorrow at the Orcas Center! From 5:30pm to 7:00pm, join the 29 local artists on this year’s studio tour for a reception and meet the faces of the new studios open on the 2016 tour. 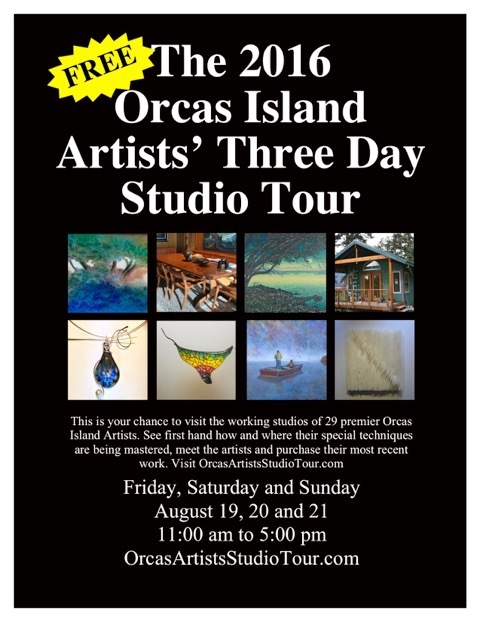 The Orcas Center in Eastsound will once again be filled with the artwork of the Orcas Island Artists’ Studio Tour participants from now until the end of August 2016. Be sure to pick up this handy tour guide while you are there!